Once upon a time, Boris Karloff’s final four films were shrouded in mystery. At first, you barely heard about them. Then, you couldn’t find them for years. In the spring of 1968, Karloff — the movies’ greatest monster, in the last year of his life — made four films back-to-back over a five-week period for a Mexican studio. But Karloff’s doctor reportedly forbade him to work in Mexico. (The actor was down to half of one lung, had emphysema and for all intents and purposes, could no longer walk.) And so, Mexican actors and crew traveled north to a modest soundstage on Santa Monica Boulevard in Los Angeles to shoot Karloff’s scenes, in a co-production deal between Azteca Films of Mexico and Columbia Pictures. 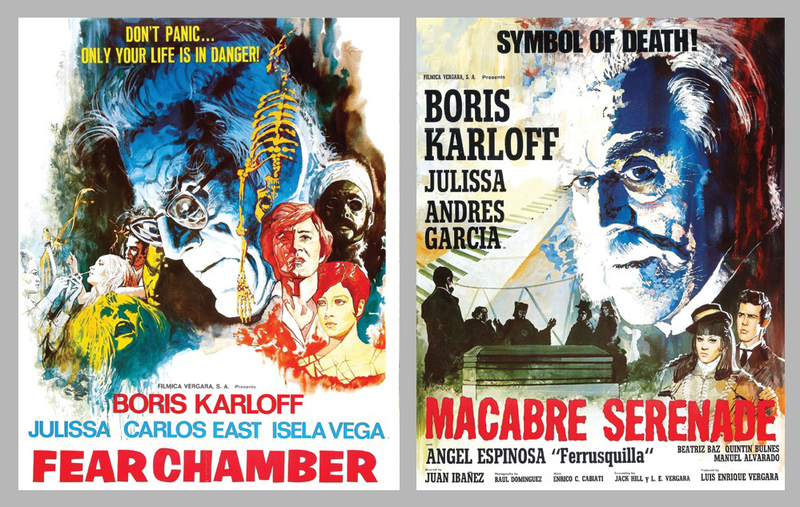 Movie posters for “Fear Chamber” and “House of Evil” (here titled “Macabre Serenade”). By all accounts, Karloff sat in a wheelchair with an oxygen mask pressed to his face between scenes, studying his lines, conversing with visitors, or dozing. When director Jack Hill summoned the actor, Karloff rose out of his chair, the years falling away, to stride onto the set with the aid of two leg braces, one sturdy cane and the indomitable will to practice his craft. But Karloff didn’t live to see the completed films – nor even to collect his $400,000 salary. The actor died at age 81 on Feb. 2, 1969. 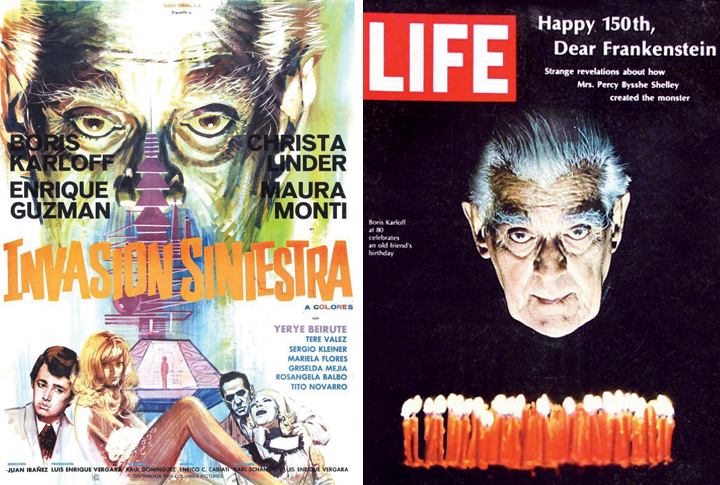 Sharp-eyed Karloff fans recognized that his image in poster art for “The Incredible Invasion” (here titled “Invasion Siniestra”) was based on the actor’s cover photo for the March 15, 1968, edition of Life. It’s vaguely possible that while Karloff was living, a mainstream trade publication ran a blurb on the films. 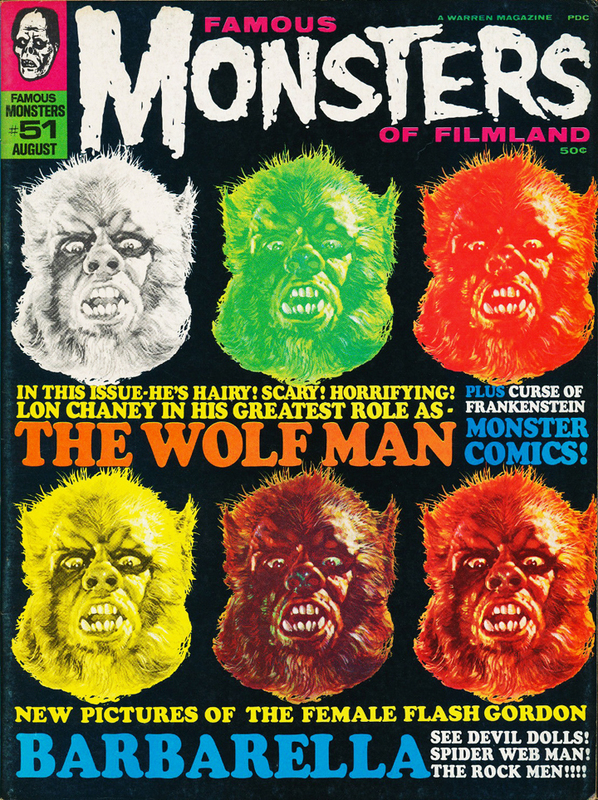 But for the majority of Karloff’s fans, the first widespread knowledge of his Mexican excursion came in issue #51 (Aug. ’68) of Famous Monsters of Filmland, a magazine about monster movies edited by Forrest J Ackerman, an openly obsessive Karloff fan who kept a keen eye on the actor’s comings and goings. The first widespread knowledge of Boris Karloff’s Mexican films came in issue #51 (Aug. ’68) of Famous Monsters of Filmland. There’s a photo of Karloff with Ackerman, who is holding a poster for the actor’s 1931 breakthrough, “Frankenstein.” According to the caption, the photo was taken on April 11, 1968. Ackerman gives the titles of the other three films — “Isle of the Snake People,” “House of Evil” and “The Incredible Invasion” (which were filmed in that order) — but doesn’t yet mention the Mexican connection. Two issues later, in Famous Monsters #53 (Jan. ’69), there’s a photo of Karloff with Mexican actor Yerye Beirute taken during the shooting of “The Incredible Invasion” (which proved to be Karloff’s very last film). In the caption, the unidentified Beirute was called “one of Mexico’s outstanding horror actors” — the initial hint of the Mexican connection. 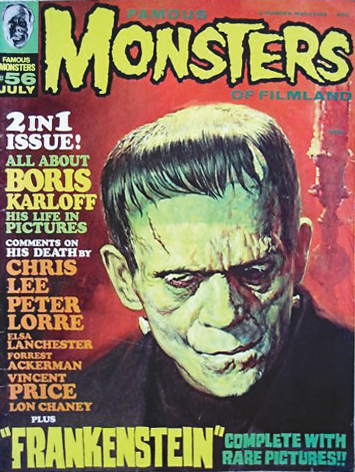 The first edition of Famous Monsters published after Karloff’s death was #56 (July ’69), a full-issue tribute to the horror icon. It includes a filmography in which the Mexican movies are listed as “to be released.” FM contributor (and Ackerman’s then-assistant) Bill Warren, an occasional visitor to the sound stage while Karloff was shooting the final four, wrote a touching eyewitness account of the scene. 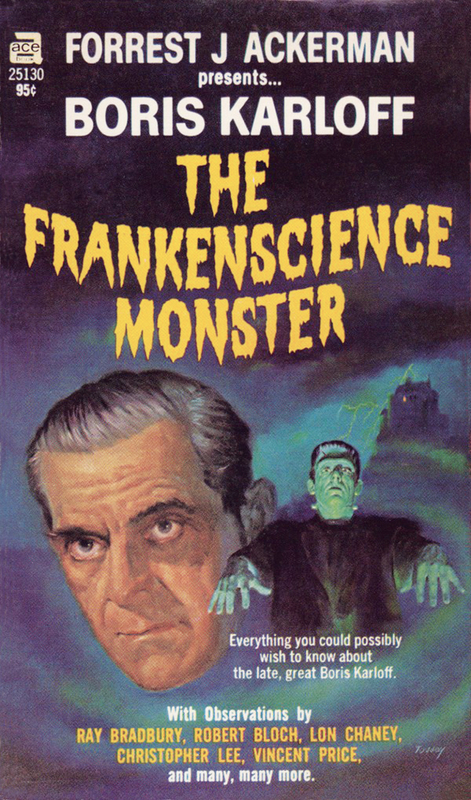 Forrest J Ackerman’s hastily prepared “The Frankenscience Monster” is significant as the first of many books written about Karloff since the actor’s death. In Ackerman’s filmography for “Frankenscience” – which, not surprisingly, has stood the test of time – the Mexican films are listed with 1968 as their given year. Ackerman lists Karloff’s roles as “benevolent scientist” (in “Fear Chamber”), “heroine’s father” (in “Isle of the Snake People”), “menace” (in “House of Evil”) and “malevolent scientist” (in “The Incredible Invasion”). I remember fretting over these movies when I first read about them in FM #56 and “The Frankenscience Monster.” Will they ever be finished? Will I ever get to see them? Then at 1 a.m. on a Saturday in, I’m guessing, 1972 or ’73, Philadelphia’s Channel 6 broadcast “Snake People.” (I knew it was coming on, because I religiously circled the movies I wanted to watch every week in The Philadelphia Inquirer TV insert.) I was thrilled. I remember the opening credits with multiple images of Karloff’s face. (I thought: They’re sure getting their money’s worth out of Karloff’s name and image.) Karloff was wonderful in his scenes, which weren’t as skimpy as I’d feared. But the film seemed a bit racy for a Karloff film; I do remember a girl-girl kiss. Little did I realize just how sick “Isle of the Snake People” is. With the VHS boom in the ’80s came the opportunity to own “Isle of the Snake People” (and watch it repeatedly), and to rent the other three Mexican Karloffs. (Hurray, they were all finished!) On VHS, the titles of two films were tweaked: “House of Evil” became “Dance of Death,” and “The Incredible Invasion” became “Alien Terror” — an incongruously ’80s-sounding title. The big question, of course, is: Do these movies enhance, or tarnish, Karloff’s legacy?